In the 1949 election campaign Smallwood promised voters his government would develop local hydro resources as "cheap power is the foundation of any industry. Grand Falls and Corner Brook would never have amounted to anything without lots of cheap power. Newfoundland has been blessed with great water power. Most of it is running to waste." (Evening Telegram, 16 May 1949) Upon becoming premier Smallwood continued his focus on hydro, using the lure of cheap power to woo industrialists. 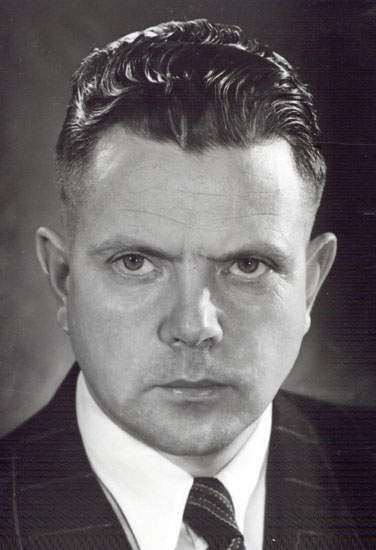 From 1950 to 1953 Alfred Valdmanis, Newfoundland's Director-General of Economic Development, attempted to attract German technical expertise and capital to Newfoundland and Labrador to develop hydro potential on the Bay d'Espoir and Grand Le Pierre rivers. Smallwood wanted to build two new pulp and paper mills, one in Bay d'Espoir, the other in Labrador and needed the timber and cheap power from the Hamilton River (renamed the Churchill River in 1965) to make the project economically feasible. Reproduced by permission of Archives and Special Collections (Coll. 075, 5.05.081), Queen Elizabeth II Library, Memorial University of Newfoundland, St. John's, NL. Further hydro-electric generating stations were built in the 1970s and early 1980s to meet the increasing demand for electricity, including the Hinds Lake project in central Newfoundland which started construction in 1977, the Upper Salmon River project on the south coast which started construction in 1979, and the Cat Arm project on the northwest coast started in 1981. In the mid-1970s Newfoundland Light and Power also constructed an oil-fired electric generating station at Holyrood. Gas turbines were also put into place in the mid-1980s in Stephenville and St. John's. Another electric station which has been under debate since the mid-1970s is the development of the Lower Churchill. Talks about developing the Lower Churchill river continued, although a memorandum of understanding between the Québec and the Newfoundland and Labrador governments for developing the Lower Churchill collapsed.